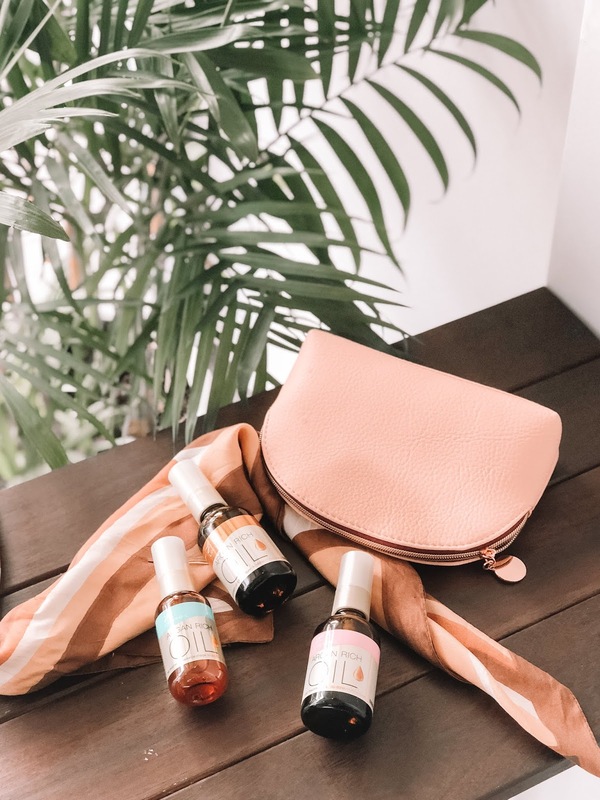 Couple weeks back Lucido-L sent me their Argan Rich Oil range and you would've probably heard of them or seen them in stores. Like skincare and clothing, hair care is not a one-size-fits-all situation. 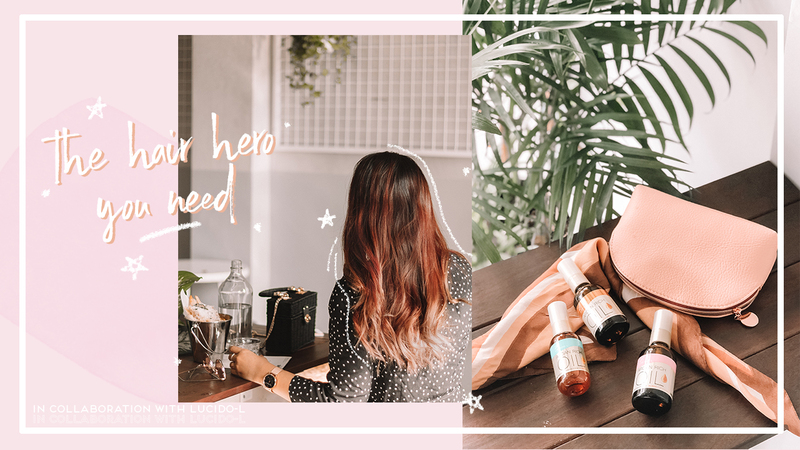 Read on to find out which is the hair hero that you need! This post is in collaboration with Lucido-L, but all opinions expressed are my own. 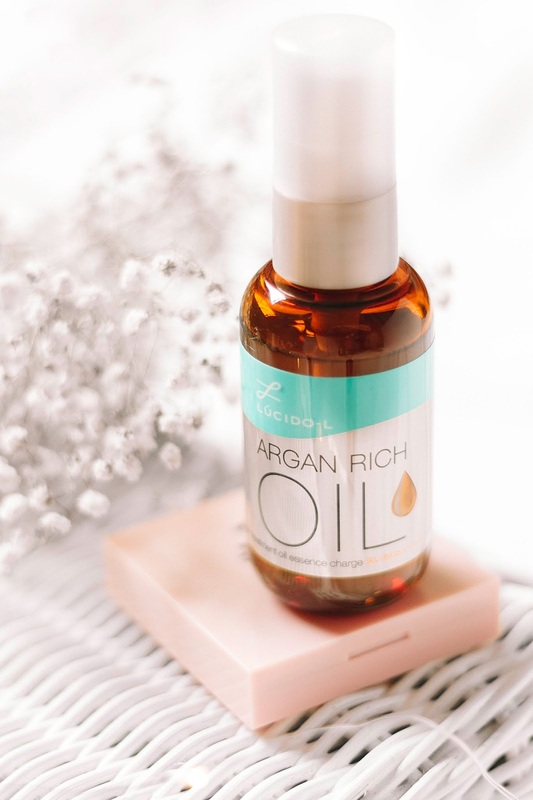 Lucido-L Argan Rich Oil Hair Treatment series currently consists of three different treatment oils to cater to your different hair type and needs. My hair has always been quite fine and any heavy hair care/styling products will weigh my hair down. My hair hero is the Argan Oil Ex Oil hair treatment as it is developed for people with fine to normal hair, just like me. I tend to avoid hair oils as they can make my hair and scalp look greasy, this however, has such a light consistency and doesn't weigh your hair down. I honestly can't recommend this product enough – my hair always immediately feels so much softer to the touch, and I can't say no to having my hair smell like berries! 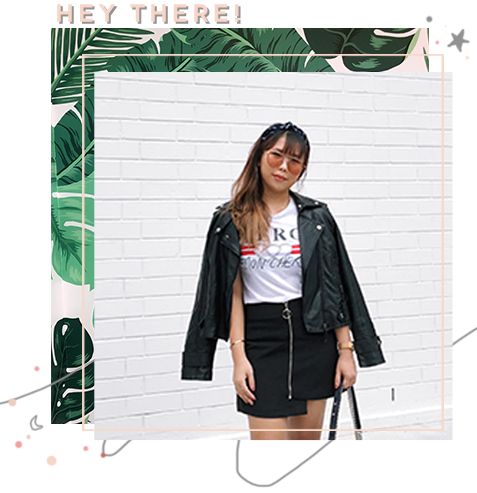 ;) You can see in the gif below that the product is so easily absorbed, it's not greasy or sticky at all. After showering, I apply 2 pumps of the oil on the ends of my partially dried hair and it gives it the much-needed rescue. In case you didn't know, our hair cuticles open during shower as we use a shampoo to wash the dirt out. So, it's very important to treat your hair after showering to ensure that cuticles are closed and moisture is not lost. The only downside to this is that I probably won’t bring it along for my travels because of the glass bottle. Then I discovered that the Argan Oil Essence Charge comes in a plastic bottle and contains 58ml of product, well within travel limits! The Argan Oil Essence Charge does pretty much the same job, but has an even lighter consistency. Before and after curling my hair I use 1 pump of the oil, which has a serum-like texture, to protect my hair from the heat and help hold my curls or tame any stray hairs. 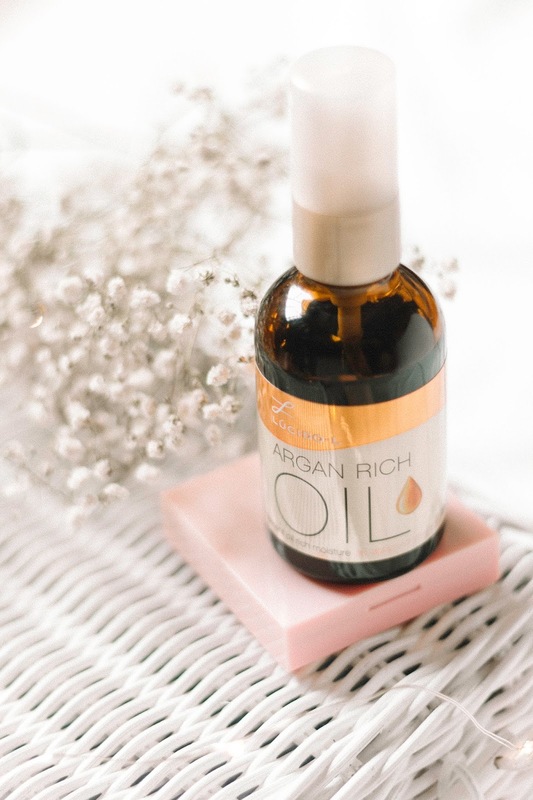 If your hair is thicker, or perhaps feeling coarser after bleaching, the Argan Oil Rich Moisture is an option for you as it provides intensive nourishment. The consistency between this and the Ex Oil is quite similar, though it might be slightly greasier it is instantly absorbed! I able to run my fingers through my hair smoothly and restore a healthy shine to my hair. This is definitely a hair treatment on-the-go! So, who will be your ultimate hair hero?